Multiple perspectives lead to better investment decisions. 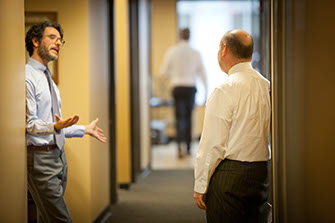 A unique combination of independent analysis combined with collegial debate sharpens investment decisions. Key characteristics lead to outperformance. Stocks exhibiting the time-tested characteristics that we seek outperform over time. Rigorous fundamental research drives outperformance. Our team determines what will drive stock outperformance through deep fundamental research and independent thinking.